Even before cracking the spine on this monograph on Lebanese architect Nabil Gholam (NGA), it's clear that the book is something special. Yes, it is a large book, but beyond size alone the cover gives this impression, as it is made up of no less than three layers: blue velum comprises the outermost layer, with the title and the name of the firm embossed in silver; the second layer is a stiffer dust jacket printed with a checkerboard of images (mountains, bricks, a rainbow on a carpet, leaves, faces, sketches, etc.) on both sides, with more personal ones on the inside; the last layer is the hardcover itself, a shiny silver surface with blue text (the inverse of the vellum) that reflects a rainbow to the reader depending upon the angle of view. Immediately these physical layers reveal that NGA's architecture has layers, a complexity hiding behind the modern exteriors. This superficial interpretation is corroborated by historian Kenneth Frampton, who says in his introductory essay that NGA's work "defies easy classification...it may be regarded as a competent, late modern global practice ... [that is] capable of creating works that possess a uniquely grounded, local character at a variety of scales." This ability to create a grounded, local character is most immediately evident in the Clouds, a housing estate of eleven villas in Faqra, Lebanon (above spread). 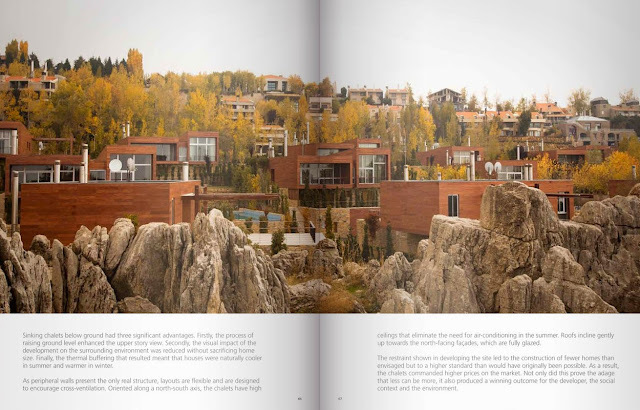 Called "rock nesting" in the book (each project is further titled by a 2- or 3-word phrase by the architects), the villas are perched upon stone-walled terraces that raise the wood volumes high enough to give the residents distant views. So if the clouds project is representative of NGA's ability to embrace and exploit the natural features of a place, what about the late-modern globalism that Frampton refers to? 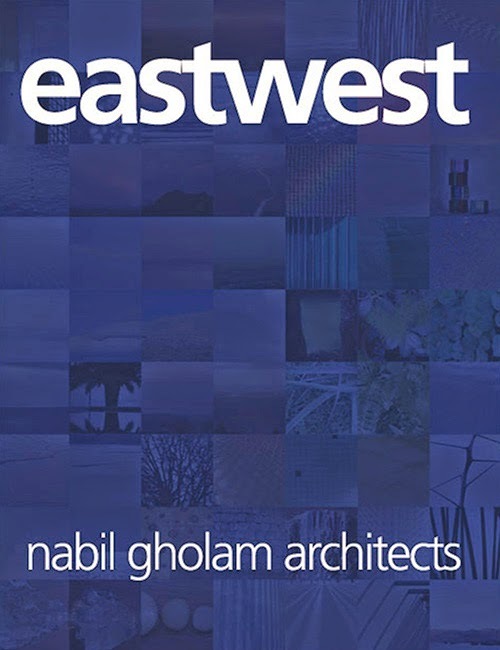 The title of the monograph offers a hint: "Eastwest" picks up on on Gholam's background – born in Beirut, educated in Paris and New York, taught in southern China, worked in Barcelona before starting his practice back home in 1994 – and how this crisscrossing of the globe has impacted what the 50-strong NGA produces. One way Gholam's east-west-east movement has influenced their designs for Lebanon and other Middle Eastern countries is through a modern architecture that embraces local elements. 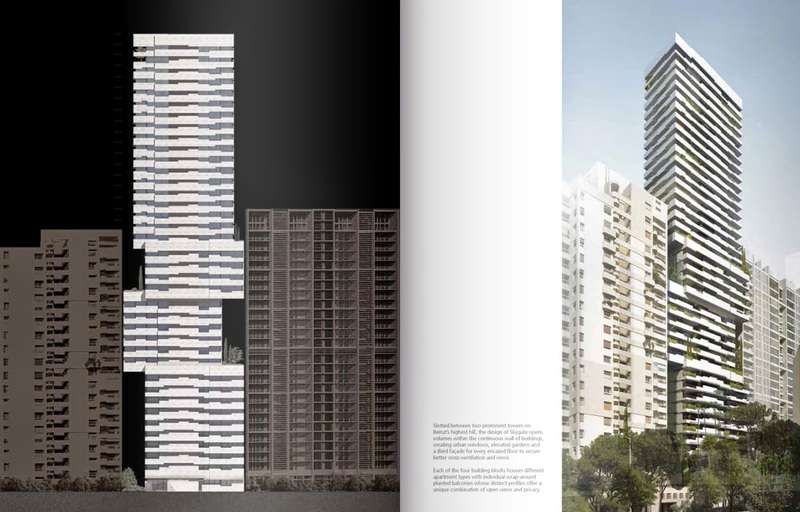 For example, the Platinum Tower (above spread) that NGA designed with Ricardo Bofill (his old Barcelona employer) resembles a 21st-century residential high-rise in cities as distant as New York, but its corner loggias are so generous – a response to climate and the way people live in the city – that it could not exist in another such place as is. 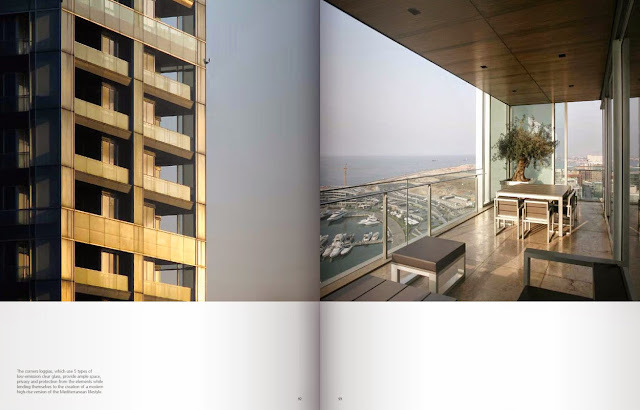 Further, the backlit glass gives the tower overlooking the Beirut marina a distinctive stacked-cube appearance that has made it a local landmark. 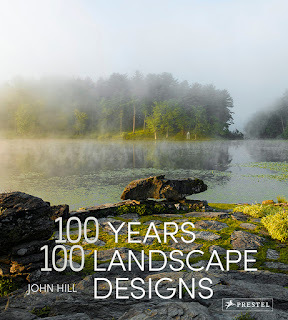 Across its nearly 500 pages, the monograph moves from one such project to the next, from house to tower, from small-scale to large-scale, from built to unbuilt. There is an apparent ease with which NGA shifts scales, typologies, geographies, and materials (thankfully stone is as prevalent in his design as glass). In some cases a motif or large-scale gesture reappears, bridging different projects and different places. 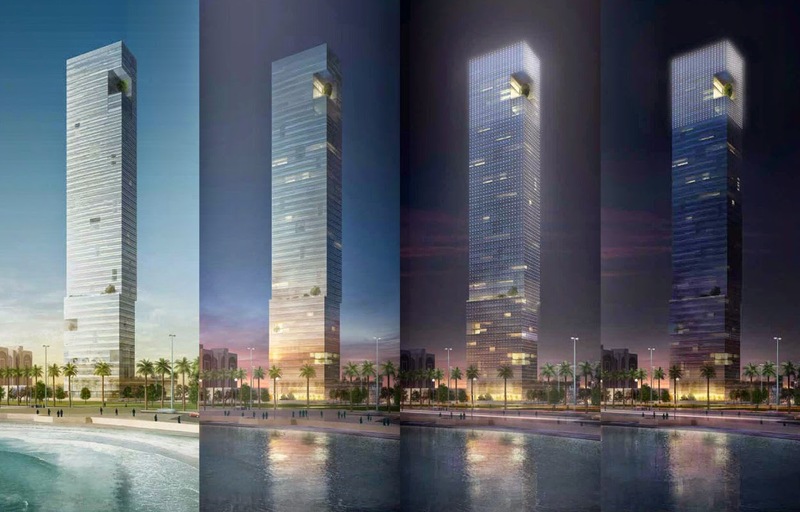 One example is the corner notch found at the top of the Jeddah Tower (below spread) as well as taking a bite out of the Doha Oasis. But these occasional gestures do not result in a distinctive Gholam-style. Instead, working within an orthogonal modernist palette (with the occasional oval or other curve), NGA crafts designs that respond carefully to program and context. 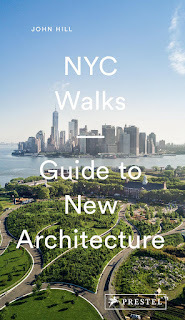 This monograph captures that skill, though with so many unbuilt projects in the mix, I look forward to the next one when Gholam and company has built that much more.